After Labour failed to ban foie gras imports earlier this week, there has been a minor win in the fight against the controversial pate. 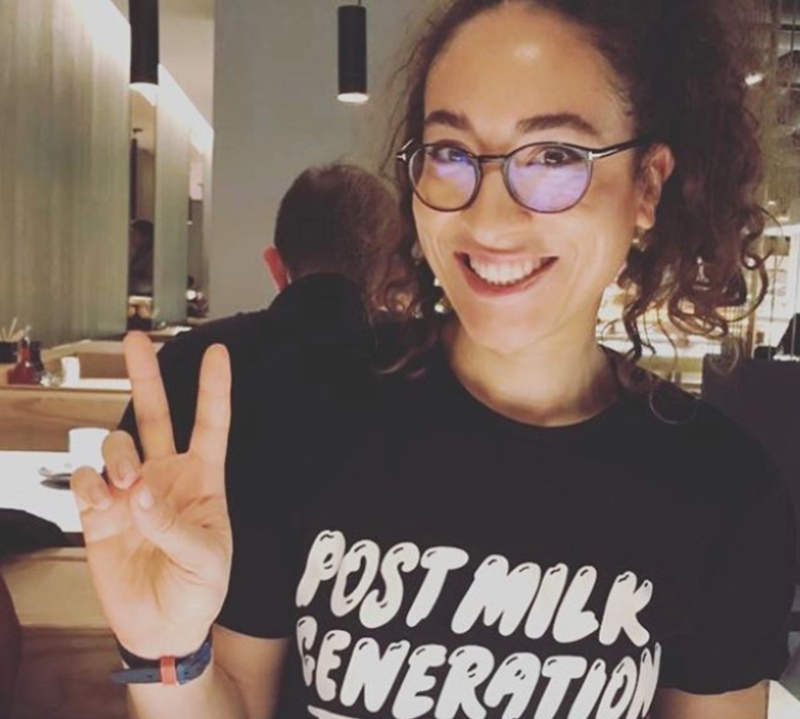 Tate Modern has removed foie gras from its Christmas menu, after animal welfare campaigners wrote to gallery bosses saying it was unethical for a partially publicly funded charity to serve an item produced in such a cruel way. 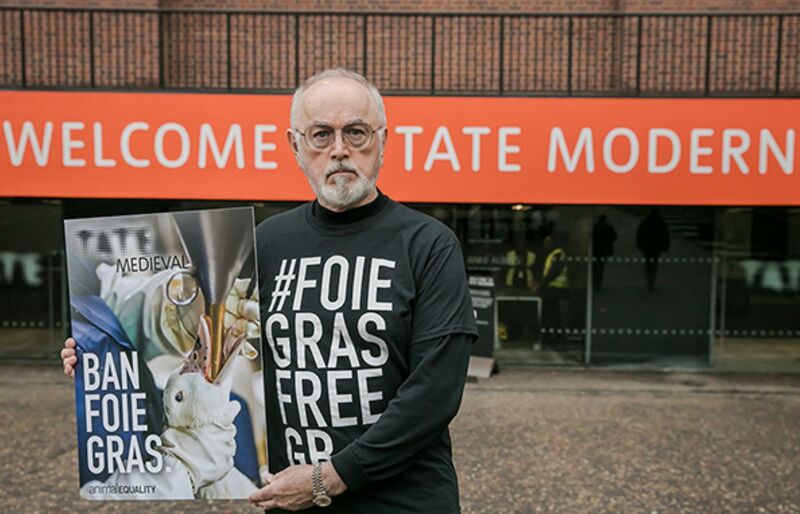 Animal Equality campaigners were joined by vegan actor Peter Egan last week outside the gallery entrance on South Bank to demonstrate against its Christmas menu. The gallery had offered a sample Christmas menu on its website which included a started of ‘ham hock and foie gras terrine with bottled quince’, with three courses costing almost £40. According to The Independent, the partially taxpayer-funded gallery received almost £40m in funding last year from the Department of Culture, Media and Sport. A recent YouGov poll found that almost 80 percent of British people supported an import ban on foie gras - a move that was voted down in the Commons on Tuesday. 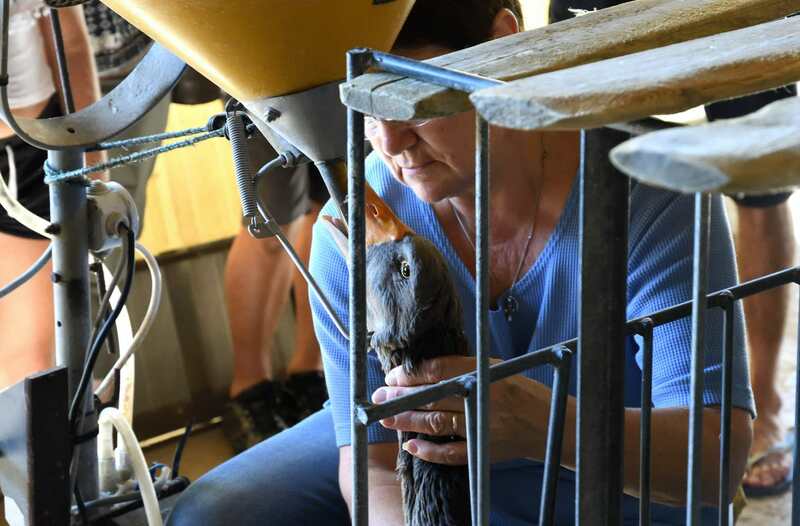 To produce the French delicacy, workers ram pipes down the throats of male ducks or geese two-three times a day to pump 2-4lbs of grain and fat into their stomachs. That force-feeding causes their livers to swell up to 10 times their normal size (which is so uncomfortable that they often tear out of their own feathers or attack each other). The practice is considered to be so cruel that foie gras production is banned in the UK, Germany, Norway, Israel and certain states in the US. India has banned the importation of it, so that it can’t be legally sold anywhere in the country. Writing on its website, Animal Equality said: ‘Offering this barbaric product, which causes extreme suffering to ducks and geese, is completely at odds with the idea of a ‘modern’ institution. Animal Equality is now asking for all British restaurants to make a similar move in dropping foie gras, and for members of the public to notify them of any other businesses offering foie gras over the festive season.